This Mission style McCoy server is in stock ready to pick up. It has beautiful leaded glass doors, and full extension drawer slides. 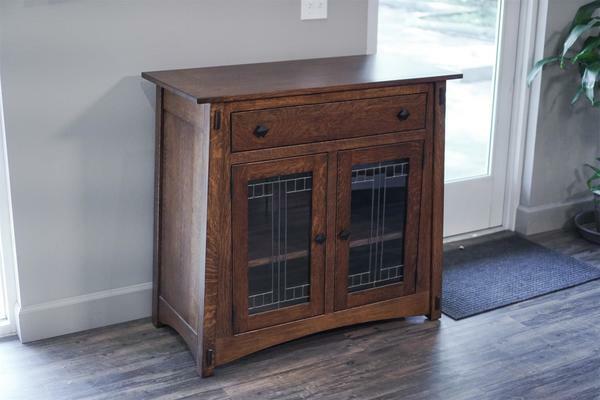 It is Amish handcrafted in solid quarter sawn white oak wood with our OCS 226 Coffee stain. *Local Pick-Up From Our Sarasota, FL Showroom.